It was the year 1965. I was desperately trying to make the adjustment from full time philosophy graduate student to full-time mother of twins. I asked my great intellectual mentor, Dietrich Von Hildebrand, how I could deal better with not concepts but diapers. “What’s a diaper?” he asked. Of course he knew what a diaper was in German but had never heard the word in English. 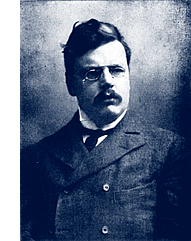 Help came with happening upon the above line from G.K. Chesterton: “Anything worth doing is worth doing badly.” Bingo! Of course, raising babies is so important that its good to do it even if I can’t earn an A, a B, or even a C at it. A related favorite a quotation is that the perfect is the enemy of the good. I looked all over to find the author of this adage. No, it was not in Scripture, or in Shakespeare, but from General Sherman! In case you’re sure exactly what it means since, after all, Jesus says “Be ye perfect,” it is designed to help perfectionists do something good rather than nothing at all since you may reason that if you can’t do something perfectly, why even do it? An application in my case is that in my generation in Catholic schools most English teachers insisted on perfect grammar and spelling. This led some talented writers to produce nothing after they stopped writing compositions for school because, “if it wasn’t perfect, why write it?” But, I, an atheist going to public schools as a child, before my conversion, was taught by progressive teachers who stressed self-expression. I have been expressing myself ever since. I leave the perfecting to the editors at the publishing houses. I presume that God helps me every time since people say they get a lot out of reading my stuff. Now even though these adages don’t work at all for creating music or performing it, for more ordinary activities it could work. Consider doing such ordinary worthwhile things badly and not letting the perfect get in the way of the good. Try it, you’ll like it!